One more (her 10th solo) totally and almost indescribable soul shaking recording by this ever talented, brilliant thinker, composer, musician, producer, organizer, world traveler, artist, and all around pleasant person. 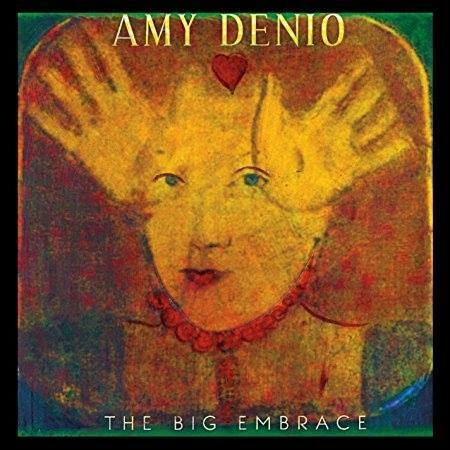 I began my musical journey with Amy Denio in the early 1990’s with her duo based (but they did add other members) Tone Dogs with bassist Fred Chalenor (Note: it was a delight to see a reunion of them at 2013 SeaProg). They played a low core, somewhat sparse, quizzical folk injected pop with avant-jazz explorations. 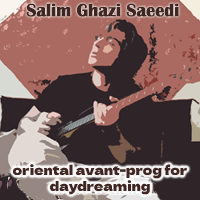 Again, hard to describe, but something very new to the ears of the progressive music scene. Multitudes of projects, giant leaps of chance, and many recordings later, Amy gives the world another dazzling display of sixteen songs that defy a short description of any sort. Her multi-level incredible creativity and endless source of gifted reception is simply unheard of. And I ask where does she get all this energy? Amongst the sixteen cuts on ‘The Big Embrace’ many are deep and often beautiful, some homages of sorts, and you will never forget the exotic pieces of song in both avant-garde spirit and theater, with varied amounts of comical and lyrical play. An attempt to reference the disc is extremely tough. Dream of a mix of superior people like Laurie Anderson, Amy X Neuburg, Noa, Zap Mama, and if allowed to roam free, soulful singers like Annie Lennox and K.D. Lang (as far as vocals go). Music wise, it is difficult to pin down, but Amy lists Yma Sumac, Tune Yards, Snakefinger, Joni Mitchell, Carla Kihlsted, and Morricone as what it sounds like. Although ‘The Big Embrace’ begins with a superlative eastern themed work called ‘L’Abbraccione’, things change by the moment and the story telling concept sweeps the listener with shifting degrees of emotions, puzzles, and reality. ‘Donald The Lump’ ( track 12) is the closest thing to Tone Dogs in sound, which takes a hard look at one of the most untruthful and unbalanced American presidents ever (add Nixon to that list). It features some actual quotes by this mad man. Another tune (track 16) ‘I Love This Cunterie’ picks up more quotes from him. Those are the more radical/sad/comical songs, as the rest of the release is filled with avant exotica and cool pop, the way only Amy can compose and perform. This mature listening display is without doubt, the hercules of music creativity and importance. A knockout to say the least! Amy plays a huge array of instruments on this 6 panel digi pak CD, including bass, percussion (frame drum/glockenspiel/cardboard box/stapler/clapping), guitar, clarinet, alto sax, accordion, field recordings and voice. She has other musicians on some cuts such as Ahmad Reza Yousefbeigi (percussion), Elizabeth Lawrence (voice, percussion), Peter Comley (samples and sounds), Jesse Manno (saz, voice), Hahn Rowe (viola), David Dorfman (keyboard), Tobias Ralph (drums), and Berin Tuzlic (drums). Amy composed and produced the entire unbelievable recording. She is unstoppable. SUPREMELY RECOMMENDED.